We made a quick video for you explaining the process of weaving around the popsicle sticks. It’s pretty straight forward, but let us know if you have any questions. Once you get the hang of the basic weaving techniques, start experimenting with different designs. You can create some amazing art (and quite large too!) Here are a few different designs we made, simply by changing the over/under pattern & skipping sticks. We would love to see what you created too, use #SCWBeth2018 or #primepestga to tag us in your photos! 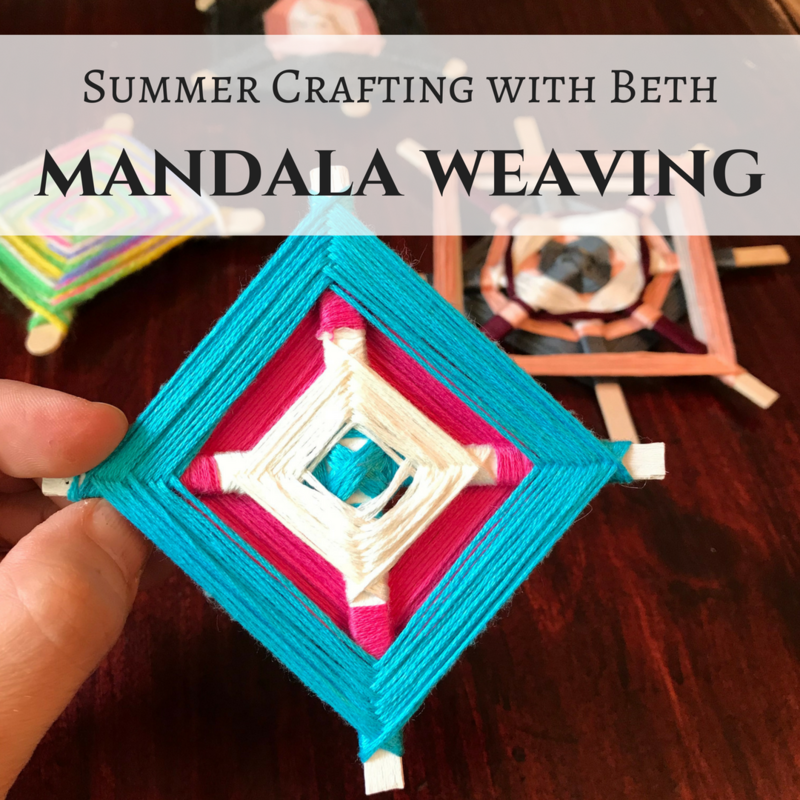 We hope you enjoyed our 8 weeks of Summer Crafting with Beth!